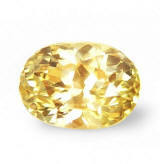 Adorable, very well cut & clean, unheated, Ceylon yellow sapphire. Superbly cut, this no heat, Ceylon "fancy" sapphire weights 1.27 cts., fine "lemon' yellow color with a slightly "mustard" undertone, masterly executed, oval "flower" cut, and measuring 7.00x5.12x4.21mm, eye flawless, VVS1 from unknown locale, Sri Lanka. 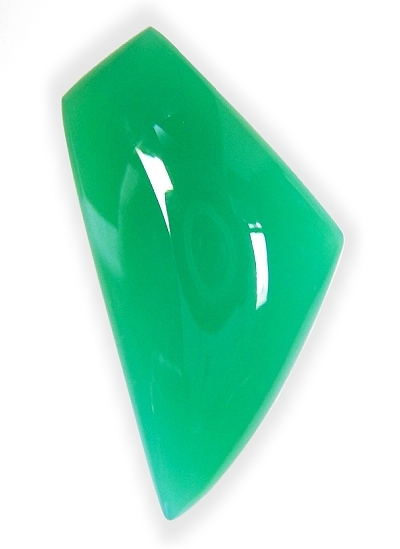 Such a sparkle & luster, this is perfectly cut, 7x5mm calibrated oval shape, and of course as clean as it gets. The intense yellow color has a definite "mustard" undertone, and this settle it apart, perhaps from the purer yellow colors. However, perfect cut & uniqueness of color, are enough to make it just beautiful & desirable. 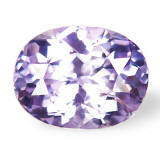 Lovely, well cut for large appearance, unheated, Ceylon "lilac" fancy sapphire. Simply a beautiful, unheated, Ceylon fancy sapphire weighting 1.08 cts., pastel lilac-lavender color in daylight, shifting to a steely pink color in incandescent light, masterly executed for large appearance, oval, mixed cut, and measuring 7.00 x 6.03 x 3.29mm, eye flawless, VVS2 in clarity, from the Balangoda area, Sri Lanka. Very sweet sapphire that is well cut, and possessing an amiable eye appeal. Great cutting, with a face or visual dimensions of a 2 cts. sapphire. Offered at a great price. 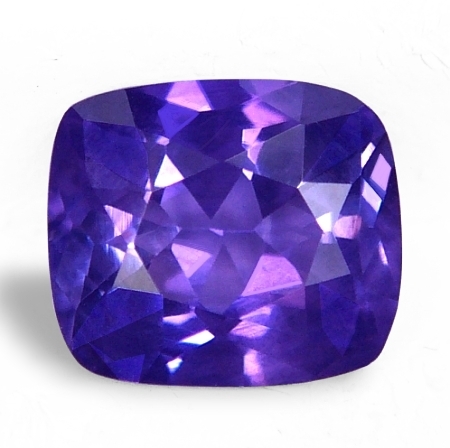 Natural, untreated and unheated, therefore rare, sure to appreciate as time goes by..
Enchanting, rare color, unheated, pure violet, Ceylon sapphire. Perfect cut. A rare color for an unheated Ceylon sapphire. It weights 1.21 cts., medium, pure violet color, masterly executed, rectangular, "antique" cushion, mixed cut with flower pavilion, measuring 6.3x5.17x3.85mm, eye flawless, VVS type2 from the gem fields of Marapana, Sri Lanka. A very brilliant, unheated violet sapphire with captivating antique cushion shape. Clean, well cut, and loads of scintillation. 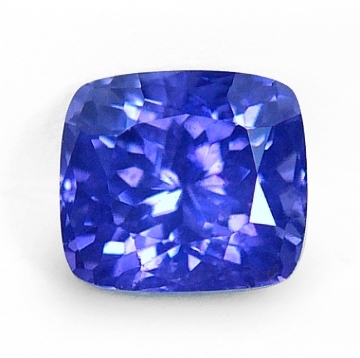 A rare, unheated sapphire color at below wholesale. Very under priced for this quality! Absolutely charming, very rare cut, unheated, Ceylon yellow sapphire. Just gorgeous. 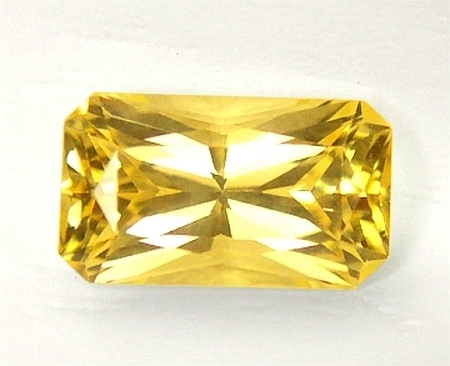 Such a sensuously beautiful and uniquely cut, unheated, Ceylon yellow sapphire weighting 0.90 cts., medium-light, pure "straw" yellow color, masterly executed, rectangular, radiant cut, measuring 6.78x4.02x3.33mm, eye flawless, VVS type2 from the gem fields of Kuruvita, Sri Lanka. The selection of the best unheated Sri Lankan sapphire rough is a process that requires right connections, long time and the highest degree of expertise derived from years and years of seeing mine run material. The choice of cutting this selected rough is given to the best skilled cutters available. And here is the result, that becomes your reward. Uniquely gorgeous, one-of-a-kind, designer, untreated, Australian Chrysoprase free form. Magical. A most beautiful, completely natural & untreated, not dyed, Australian chrysoprase weighting a whopping 27.63 cts., finest, perfectly saturated, medium, bluish-green color, cut in a fancy, shield-like, free form shape, and measuring approx. 37.95 x 19.67mm, completely voided of cracks, with top translucency, from the Marlborough deposits, Queensland, Eastern Australia. An incredible piece in terms of size, cleanness, and homogeneous translucency. Just infinite setting possibilities....can you envision it with some small padparadscha sapphires in a designer pendant?......An One-of-a-kind, absolutely superb piece offered at a very low price. 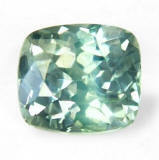 Uniquely compelling, unheated, rare, bluish-greenish "aqua" color, Montana sapphire. Gorgeous. Wow, what an unique sapphire. Unfortunately, the pic does not do any justice to it. A beautiful, completely unheated, Montana sapphire, weighting 1.15 cts., pastel, "icy" greenish-bluish "aquamarine" color, perfectly executed in a drop, mixed cut shape, and measuring 8.40x5.57x3.26mm, eye flawless, VVS1 from the Eldorado Bar, Missouri river, near Helena, Montana. The color in this sapphire is so unique that reminds me of an icy mountain stream. Very well cut as well, and clean, this will mount simply awesome. Ideal, all-American heirloom for your family. 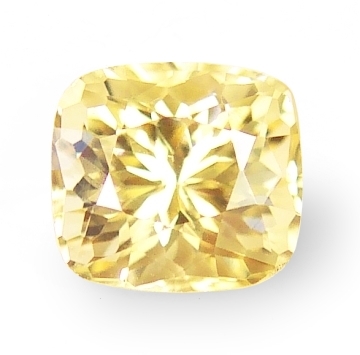 Definitely cute, perfectly cut, unheated, Ceylon yellow sapphire. Beautiful. A visually beautiful, even though less than 1 ct., unheated, Ceylon "fancy" sapphire, weighting 0.70 cts., medium, intense yellow color with champagne undertones, masterly executed, "antique" cushion, "flower' cut, and measuring 4.9x4.5x3.7mm, eye flawless, IF-VVS1 from the gem fields of Ratnapura, Sri Lanka. 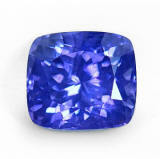 An unheated fancy sapphire with marvelous cut. The gem is very brilliant, and overall possesses a very sweet & exotic feel. It will mount a standard 5x5 square setting, so you have a vast choice of settings. 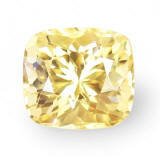 Great price for an all unheated, beautiful yellow sapphire. 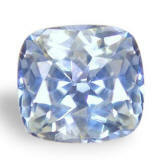 Exotic, well cut & clean, unheated color change, Ceylon "fancy" sapphire. Magical. 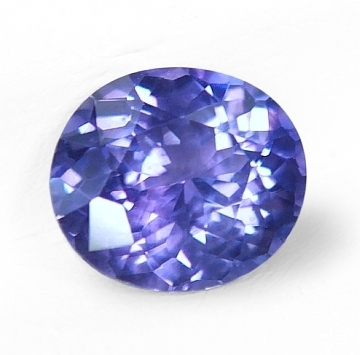 A most definitely beautiful & rare, no heat, Ceylon "fancy" sapphire, weighting 1.41 cts., fine , medium-dark, strongly saturated, bluish-violet color in daylight, changing to a rich purple color in incandescent light, perfectly executed, oval "flower" cut (known also as "Portuguese" cut), and measuring 7.30x6.38x3.86mm, eye flawless, VVS1 from the gem fields of Elahera, Sri Lanka. Gorgeous, Sri Lankan color change sapphire without any treatment. 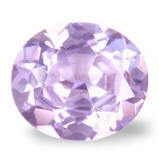 We are the source for unheated, Ceylon sapphires at wholesale prices. You cannot go wrong. Do not pay 3-5 times our prices, be a savvy buyer. Our unheated sapphires will appreciate in value as time goes by. Very sensuous & flirting, marvelously cut, very rare, unheated, color change, Ceylon lavender-violet sapphire. Beautiful. 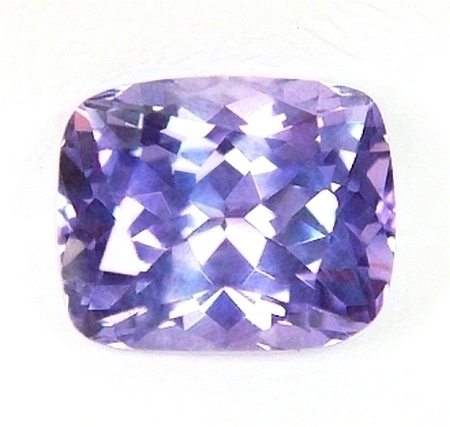 A shimmering & sensuous, unheated, "fancy" Ceylon sapphire weighting 1.15 cts., medium, pastel, lavender-violet color (with excellent saturation) in daylight changing to medium violetish-pink in incandescent light, masterly executed, cushion, mixed cut (with "flower" or "Portuguese" pavilion) measuring 6.11x5.5x3.83mm, eye flawless, VVS2-VS1 in clarity, from the gem fields of Marapana, Sri Lanka. The shimmer and luster is just beautiful, the shape well done and without any window and the violet unheated state very sought after and definitely very rare. If you are looking for value, beauty and rarity, do not hesitate in this beautiful sapphire,...offered at a great price. 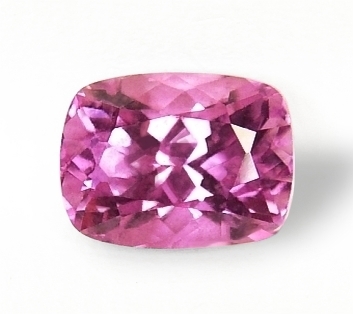 Enchanting, & sensuous, one of the rarest, unheated, hot pink, Ceylon sapphire. Beautiful one. If you want one of the rarest "fancy" sapphire color, here is a completely unheated pink sapphire, weighting 1.07 cts., medium, intense, rich pink color, masterly executed, rectangular, "antique" cushion mixed cut (with "flower" pavilion), measuring 6.22x4.87x4mm, eye flawless, VVS2 from the gem fields of Kuruvita, Sri Lanka. After the pink-orange or orange-pink variety, pink sapphires in hot shades are the most valuable (even surpassing fine blue colors) in the sapphire world. This one will not fail to impress, because it is cut to perfection, eye flawless and it is completely unheated. A great value (and at a price nobody can beat!) in today's "cosmetically" driven market. Definitely enchanting, perfectly cut, unheated, Ceylon color change "fancy" sapphire. 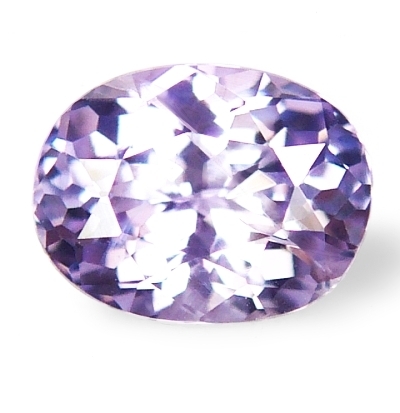 A most perfect, unheated, Ceylon violet sapphire, weighting 1.65 cts., medium, intense violet color in daylight, changing to medium pink with violet undertones in incandescent light, masterly executed, "antique" cushion, mixed cut, and measuring 7.03x5.76x4.21mm, eye flawless, VVS1 from the gem fields of Pelmadulla, Sri Lanka. Simply alluring, unheated, Ceylon "fancy" color sapphire with a color change. Well cut, clean, and offered at true wholesale value. A no brainer deal. Absolutely stunning, spell-binding, clean, museum size, Mozambique ruby. One-of-a-kind. You have to see the beauty, impressive size and feel of this ruby, because guaranteed one-of-a-kind. 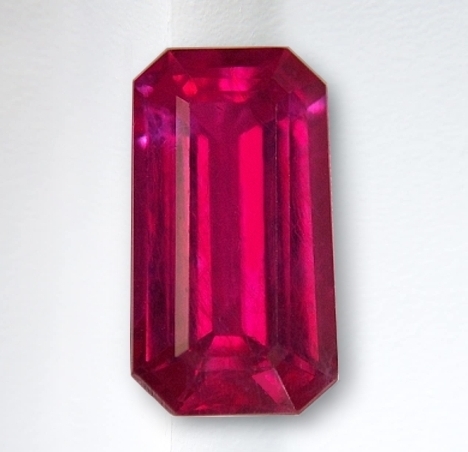 This museum size ruby weights 11.38 cts., medium, vivid & bright, pinkish-red color, perfectly executed, elongated, emerald, step cut, measures 17.25x9.4x6.3mm, very clean crystal, VVS2-VS1 type2 from the Niassa Region, Northern Mozambique. You have to see this ruby in person to really appreciate what we have here. Amazing gem, spell-binding presence, sensuous eye appeal. The new ruby deposits in Northern Mozambique have been producing really fine specimens with fine, medium, glowing tones of red with pinkish or orange undertones. It is a clarity enhanced ruby, so best is to have it set in a pendant. 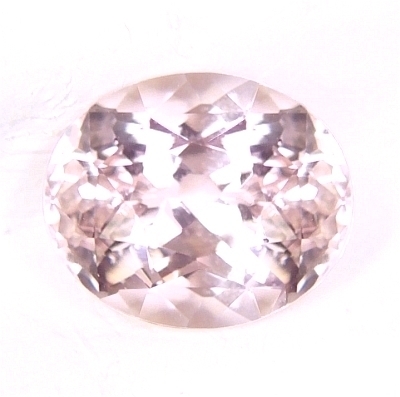 Sparkling & well cut, good size, unheated, Ceylon light pink sapphire. Great price for a beautiful one. 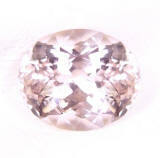 What a great price for this beautiful, no heat, Ceylon pink sapphire that surely was not photograph very well here. It weights 1.92 cts., light, "diamond-pink" color, masterly executed, oval, "flower' cut, and measuring 7.81 x 6.46 x 4.63mm, eye clean, VVS2-VS1 in clarity, from the gem fields of Elahera, Sri Lanka. Unfortunately the pic cannot does not show well the beauty and scintillation of this sapphire. Guaranteed very beautiful, well cut and exhibiting an exotic & clean look. Also completely natural, with no heat treatment or any other treatments. As mother nature created it millions of years ago, only cut & polished and destined to appreciate in value as time goes by. Exotic, very well cut & clean, unheated, Ceylon violet sapphire. Amiable. Simply a beautiful one. This unheated, Ceylon fancy sapphire weights 1.25 cts., medium-pastel, pure violet color, perfectly executed, oval "flower' cut, and measuring 7.15 x 5.50 x 3.77mm, eye flawless, VVS1 in clarity, from the gem fields of Elahera, cut & polished in Ratnapura, Sri Lanka. We meticulously select at origin, at the sapphires mines of Sri Lanka. No middle man, no other dealers in between, not others trying to get a piece of the pie in referrals. Simply put, you cannot find lower prices for the quality offered. Shop with confidence, and remember, the more you shop the more you save. 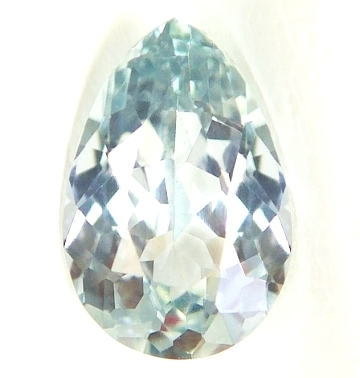 Very unique hue, rare from this location, unheated, bluish-green, Burmese fancy sapphire. A very unique, both in hue and presence, unheated, Burmese fancy sapphire, weighting 2.35 cts., medium, green color with a slightly bluish undertone, very well executed, "antique" cushion, mixed cut, and measuring 7.65 x 6.82 x 4.97mm, eye flawless, VVS2 in clarity, from the Mogok Tract, Upper Burma. A very exotic looking, unheated green sapphire with our signature "antique" cushion cut that is sparkling and exotic-looking. From a very important location, famous for its renowned rubies, however Mogok produces many hues of sapphires as well. I real nice green sapphire, with no treatment, that will definitely delight you. Delightful, well cut & clean, unheated, Ceylon color change, "fancy" sapphire. Here is a sapphire that will not fail to impress. 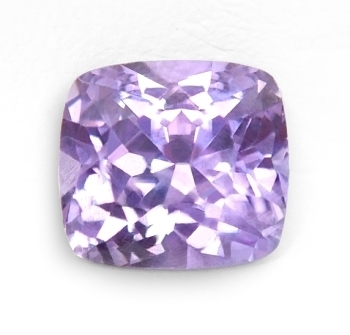 It weights 1.77 cts., medium-dark, bluish-purplish-violet in daylight, changing to medium-dark purple with pink highlights in incandescent light, well executed, "antique" cushion, mixed cut, measuring 7.45 x 6.48 x 3.87mm, eye flawless, VVS2 in clarity, from the gem fields of Balangoda, Sri Lanka. We are proud of our completely natural, unheated fancy sapphires, collected meticulously & hand picked by eco-friendly miners in the gem fields of Sri Lanka. Here is a well cut, unheated, "fancy" sapphire with a face of a 2+ cts. stone. A rare bluish-purplish-violet color changing to intense purple in incandescent light. Real nice. 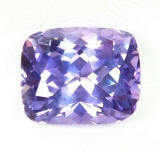 Alluringly magical, very rare, color change, vivid violetish-blue to purple, unheated, Ceylon sapphire. Fine color. 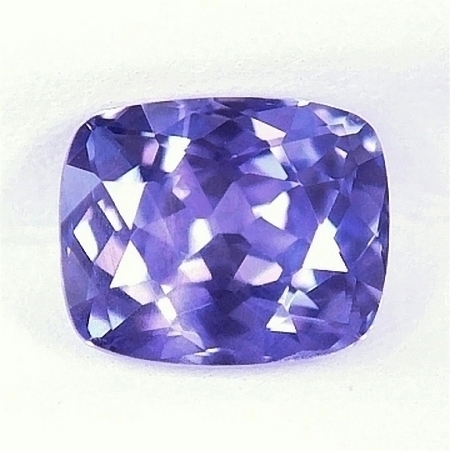 This is an unheated, Ceylon sapphire with a very rare and fine color, weighting 1.02 cts., medium-dark,, intense, violetish-blue color in daylight changing to perfect, medium-dark purple with pink flashes in incandescent light, excellent, "antique" cushion (with flower pavilion), and measuring 5.45x4.9x3.97mm, eye flawless, VVS1 in clarity, from the gem fields from Elahera, Sri Lanka. Exotic and fine color, clean clarity and excellent scintillation, we offer this fine, completely unheated sapphire at a greatly discounted price because of its small dimensions face up (the gem has a bit heavy bottom). Rest assured though that this gem is worth, obviously, much more!. Sparkling, perfectly cut, rare unheated, "icy" blue, Ceylon fancy sapphire. Such a sparkling sapphire, this unheated Ceylon weights 1.16 cts., pastel "icy" blue color, masterly executed, "antique" cushion, mixed cut, and measuring 6.31 x 5.89 x 3.59mm, eye flawless, VVS1 from the gem fields of Nivitigala, Sri Lanka. As per the end of 2015, prices for unheated sapphires in Sri Lanka have reached an all-time high. An increase in worldwide demand for untreated material and very little availability of it in the market place, have thus skyrocketed prices. Do take advantage of our low wholesale prices for these fine qualities. Here is a very sparkling, completely untreated sapphire possessing an undeniable, unique beauty.